As summer approaches I can't help but get excited about all the fun things that are on my calendar, the main things being summer concerts. My favorite concerts to go to are country concerts, they're just the best time ever! 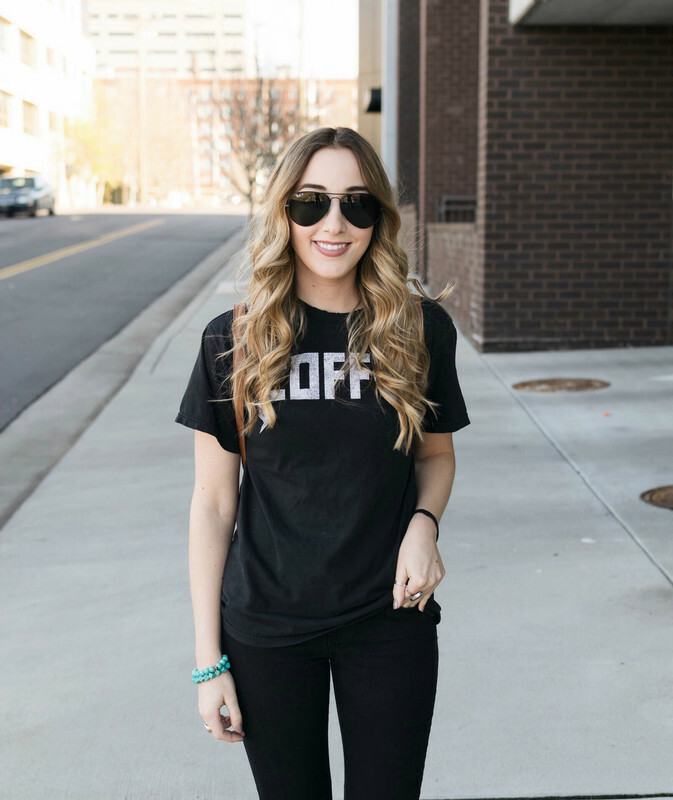 I thought it would be helpful to put together an outfit I would wear to one of the concerts. For me, when I go to a concert I want to look cute but also want to be prepared for standing for hours & the temperature changes. I would love to wear the cutest pair of heels or wedges but let's be honest you would want to chop your feet off by the end of the night! I made the mistake of wearing heeled booties last summer to a concert and by the end of the night my feet were numb! Big mistake! 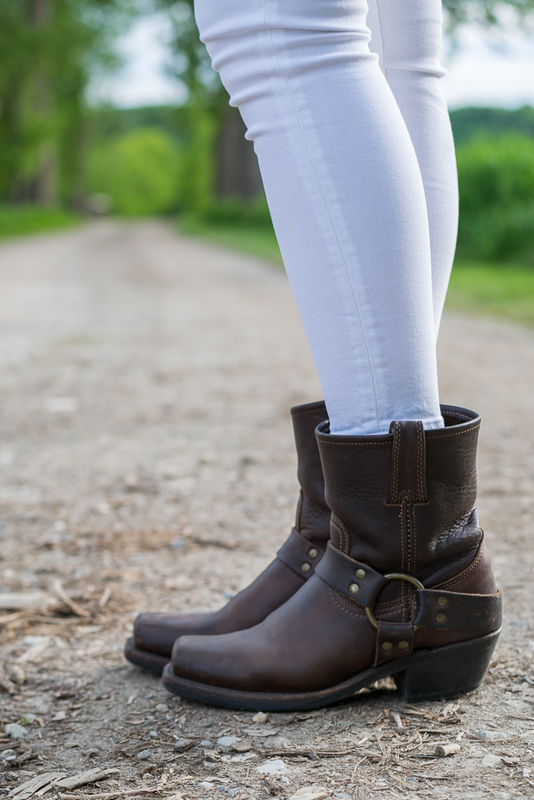 I think a cute pair of cowboy boots are the perfect footwear for a concert, my favorite brand is Frye, I have 6 pairs! Denim also called "chambray" tops and dresses are huge right now so that's what I choose as my top. 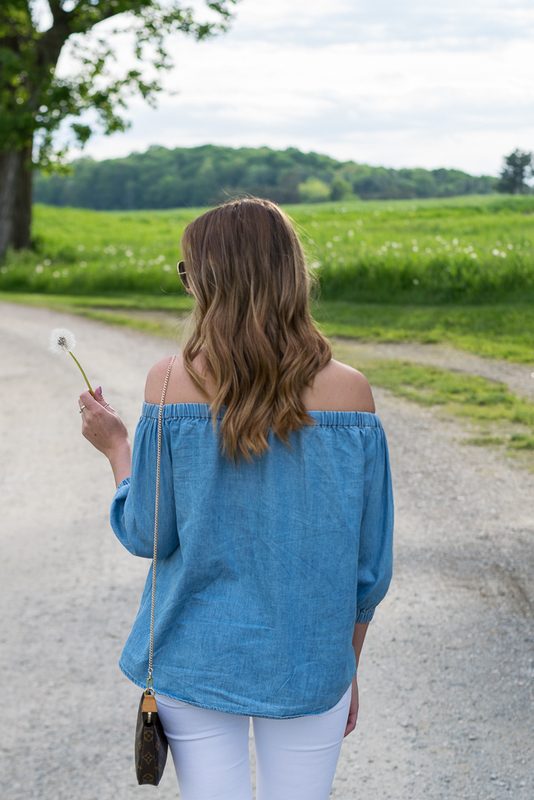 This top is perfect because you won't over heat as its off the shoulder but it will keep you cozy enough as the sun goes down & temperatures drop. I suggest always wearing pants to a concert, the thought of having my legs stuck to a concert seat is just horrifying and would be very uncomfortable. I love white denim and never have trouble keeping them clean. 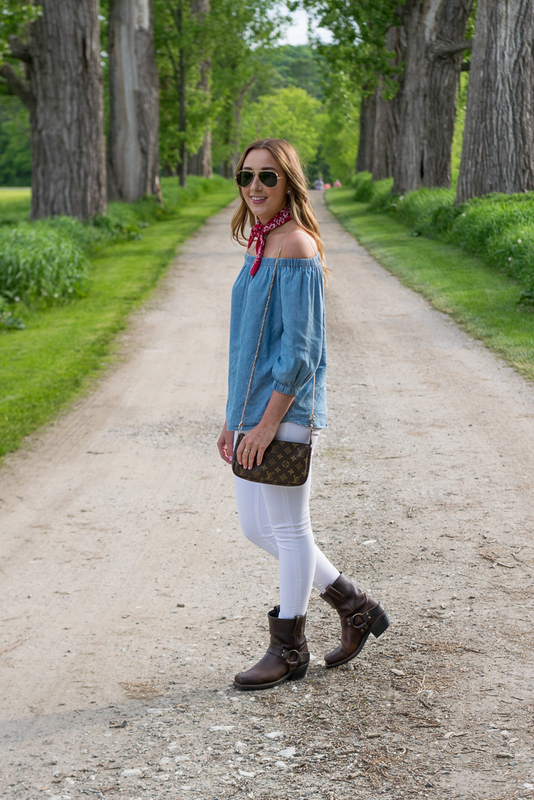 Make sure when buying white denim that you choose a pair that has a thick knit to it or else it will be very unflattering, trust me! 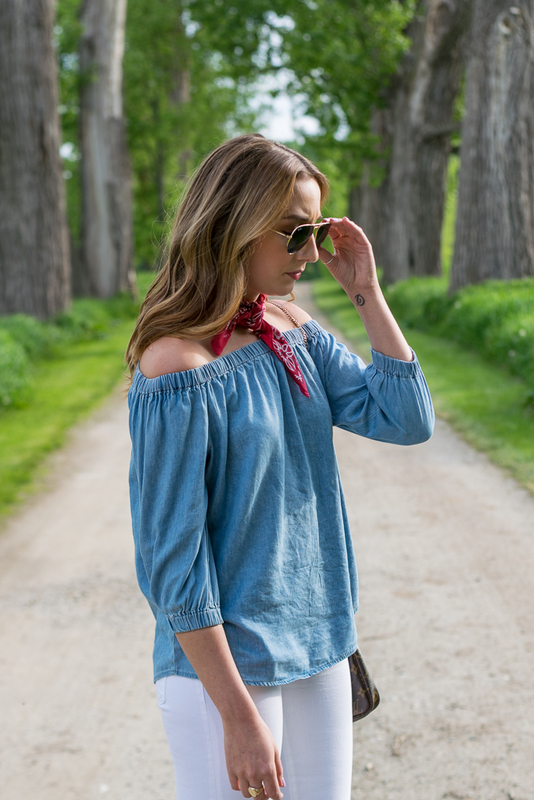 To tie this outfit together I folded a red bandanna into a little neck scarf which I think looks super cute, you could also wear it in your hair! 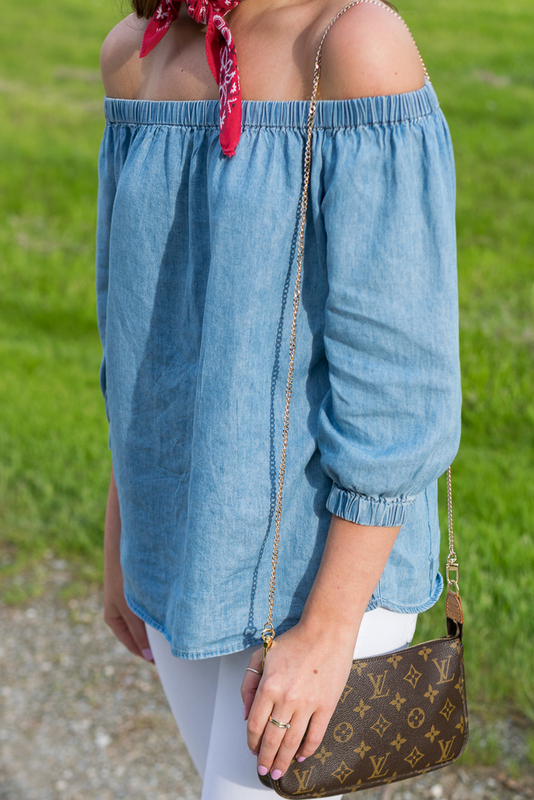 I'm linking a few different options for the chambray top at different price points & styles!